I ran across this article a few weeks ago and want to make a copy of it here just in case it gets removed from it’s source. Well it doesn’t say anything actually, but not to worry, there is a way. In the template, where you want the value to appear, type within 2 brackets an exclamation point followed by the entity logical name. After the entity name, add a colon, and then the field logical name, ending it with a semi colon. If you’d like a default value if nothing was found, after the semi colon add the default value. These are all of the methods we’ve found so far. We are hoping to find a way to retrieve data from related Entities, but as of now it seems to be nearly impossible.If you have any feedback around tricks with email templates, comment to add your feedback. Someone asked about creating a dynamic URL that pointed to an actual record within Dynamics CRM. I was optimistic that something similar to the ‘Record URL (Dynamic)’ that you can find when creating a dialog existed. But unfortunately, this isn’t the case. *Note: You might notice we have a few other options. “newWindow=true” just means we want to open this URL in a new window. “Pagetype=entityrecord”, just means we want to open the entity record. Much has been written about how Dynamics 365 can handle complex email processing, convert emails to cases, automatic rules for converting them, etc. One thing I noticed was missing was how to configure a Queue and a Mailbox for simple email processing. You are a small to medium sized business and you have a customer support email box where your customers can email you an issue for a response. You must either be an Office 365 global admin, or know one that can assist you. You should have access to the shared mailbox, or know someone who does that can verify that it’s working. Select New to create a new queue. Name :: This should reflect something about the queue/mailbox being setup. In our scenario, we are going to call this queue Customer Support. Type :: This should be set to Public. Incoming Email :: This should be the email address for the mailbox that is being monitored. In this scenario it’s a support@xxxxx.onmicrosoft.com mailbox. Convert Incoming Email to Activities :: This is typically set to All email messages. Once the queue is created, it will also create a related Mailbox. In these next steps we will configure that mailbox. Click on the Mailbox name underneath the Convert Incoming Email to activities field to access the mailbox. Note: For this first step, you will need to either be an Office 365 Global Administrator, or be able to get one to help you. If it’s not you, you will need to get them to login to Dynamics and follow this step. Access the mailbox record and press the Approve Email button. Ensure that the Incoming Email field is set to Server-Side Synchronization or Email Router. (Optional) If you are also going to reply to email using the same email address, also set the Outgoing Email to Server-Side Synchronization or Email Router. This will allow your Dynamics users to reply anonymously and have replies go back to the original mailbox. Next you will have to test and enable the mailbox. Click the Test and Enable Mailbox button in the ribbon bar. Note: Depending on your Office 365 tenant, the test may take up to 15 minutes. You can refresh the browser page showing the mailbox and check the status of the test. Once the mailbox is tested successfully, you are ready to start accepting E-mails. Anything sent to the mailbox will now show up in the new Queue that was created. 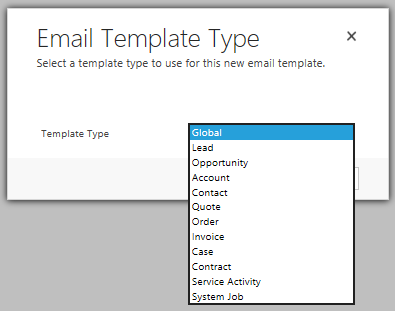 So we did a number of things here, but the basics are that we now have a simple way to have all emails sent to a common mailbox become activities in Dynamics 365. We can convert them to cases, attach them to existing records by setting the Regarding on the emails, etc. If you have ever worked with many-to-many (N:N) relationships in Dynamics 365 (the product formerly known as Dynamics CRM), you may have at some point created a N:N relationship between entities. It is a useful relationship type for sure, but it has some serious ‘out of the box’ limitations. The main issue I have always had with it is the complete lack of capability to execute a workflow process when the relationship is created, or any audit record of who and when the relationship was created or modified. Contact has a N:N relationship between itself and a custom entity called ‘Web Roles’. You assign new Web Roles to the Contact record to allow them access to pages on a custom portal. But you need to know who added the role, and when the role was added. Say you have delegated the web role assignment to customers that have an admin role to manage their own users on the portal? How would you know who added the role and when? Contact has a N:N relationship to Account. For each Contact, they have a regular parental N:1 relationship to an Account, but they might also have a relationship to several other Accounts. Perhaps they are a distributor of your products and have a company that they work for, but also work with several of your other Accounts to sell them products. And each Contact may have a different role that they have in relationship to the other Accounts. If you have worked with Dynamics 365 for any amount of time, you might be thinking “Hey, you can use the built-in Connections entity for this”. And you would be correct. But only if you are only going to use Connections for just one type of N:N relationship. Since Connections are basically available for ANY record to be linked to any other record, it’s a lot more generic than it needs to be. The solution is what I like to call a ‘Join Entity’. If you have ever done traditional database or application development that worked directly with a SQL database, you should already be familiar with this concept. It’s basically a table that sits between two other tables and stores the primary key for records in each table that require a join. In Dynamics 365 parlance, we create a Join Entity that works just like a join table. When you create this entity, give a good name that reflects what you are joining. In this example, we are going to create a join between Account and Contact to allow for multiple Contacts to be associated with multiple Accounts. I’m going to call this one Account To Contact. For the Ownership option, this one is up to you. In most scenarios, it is safe to set this to Organization since we are just using this for joining up other entities and we don’t need all the overhead associated with User or Team ownership. If the relationship needs it and perhaps some user or team needs to own the relationship then by all means, set it that way. Most likely you won’t need any of the Communication & Collaboration options enabled, and you can always enable most of them later anyway. As a rule, I like to keep them all OFF until I know I need them. For Data Services options, I would Allow Quick Create, and Enable Auditing. For Primary Field, you can leave the default name as Name, or give it something else more appropriate if you prefer. We’ll talk about how to deal with this field in a later step. IMPORTANT: You need to set the Field Requirement for the Primary Field to Optional at this step. If you forget, don’t worry it can be changed by editing the field directly, but it’s best to do it at this time. Side Note: For the color setting, I like to set all my custom entities color to plain white (#ffffff) and then get some nice flat black icons from Icons 8 (http://www.icons8.com). It’s an awesome site with thousands of icons and I highly recommend it. Click Save to create your new entity. Now we need to add the appropriate N:1 lookups to the entities we are trying to join on. Click the Fields option and then click New in the toolbar. Display Name should be something that makes sense to the user that will be adding this new record/relationship. For our example, we are joining to Account so we will call it Account. Field Requirement should be set to Business Required to avoid any orphaned join records. Select a Data Type of Lookup and a Target Record Type of Account. Save this new field and repeat these steps to add a lookup to the Contact entity. Click Forms in the left navigation to review the list of built in system forms. Click the Information form listed first with a Form Type of Main. Customize this form and add your newly created Account and Contact fields. Click Save and Close to save your form changes. Tip: Since you only get one section by default, the Name (and possibly Owner) field(s) will fill up the entire width of the form. I find this annoying and completely impractical, but that’s just me. I will usually edit the General Tab and set the Formatting option to use Two or Three Columns. Modify the form by adding your 2 lookup fields to the form. Save and Close the new form. Optional: Probably a good idea to go ahead and publish your changes now if you haven’t already done so. Tip: If you know what Source entity will be used a majority of the time, put the other entity lookup first on the form. In this case, we are assuming that contacts will be added from the Account record, so we are showing the Contact lookup field first. The Account field will already be filled in when the join record is quick created. Now that we have the basics setup, we need to set a Name for these new records. This is the name that will show in any lookups to this entity, which the system uses by default. We’ll build some views that will be used on forms, but we can’t just leave this field blank. This workflow will set the Name to a combination of the Account and Contact names. Note: Recall that in Step 1 we set the primary field requirement to Optional. If you did not do that, now is the time. Navigate in your Solution (or All Customizations) to Processes and click New. Process Name: This should reflect the Entity Name, RT for ‘Real-Time’, and some description. I like to call this one New to show that it runs when a new record is created. Click OK to create the new process. Click the Set Properties button next to the Update Record. Click in the Name Field an add the dynamic values of Account and Contact. Tip: Put some kind of delimiter like a dash, asterisk, or colons to separate the values. Note: This can be whatever dynamic values you like, but try to make it unique to this join record. Remember that this will show up in all the lookups that may reference this join entity. We are going to want to add a sub-grid to both entities we are joining to, so we need a view that shows the values. At this point we haven’t modified any of the default views, but we will at least modify the Active Account to Contact view, then do a save as and modify that one for a form view. Navigate in your solution (or All Customizations) to the Account to Contact entity. Add the Account and Contact lookups columns to the view, and order them as you prefer. Move the Contact name and the first column. Note: This is because we will use this view on the Account Form, so it makes sense for the Contacts to be listed first. · Option: If you like, you can do another Save As, call it Contact Form View, and set the Account as the first column. Now that we have our entity, we set the fields correctly, and we built a form view, we can put this all together on the Account form and see how it works! Navigate in your solution (or All Customizations) to the Account entity. The key fields here are in the Data Source area. Note: If/when you add this to Contact, select Contact Form View instead of Form View. Save, Publish, and Save and Close the form changes. Tip: If you haven’t recently done so, now is a good time to Publish All Customizations. We’ve made a lot of changes so we want to be sure everything shows up for testing. To add a new Contact to relate to this account, click the + button. You should see the Quick Create form we created earlier. Enter a Contact name, and click save. You should now see the new relationship added! What we’ve done so far has really been pretty much what you get out of the box for N:N relationships, with the exception of step 8 where we added the new relationship with a quick create form. Adding those with the out of the box functionality is painful (just my opinion…). Now we can get to extending this new entity to do something that the out of the box functionality does not. For our example, we are going to add a Role attribute to the entity. Note: This is just for example purposes, you can add any field type as required by your needs. Now when you view the data on your Account entity, you’ll see the new Role value assigned to each record. We have covered a lot of different topics, but you should have a good grasp of the power of using this Join Entity concept instead of the out of the box many to many (N:N) relationship. You gain auditing capability to see who, what, when. You gain the ability to extend the relationship and add additional fields to define the relationship (e.g. roles, etc.). You do not have permission to access these records. Contact your Microsoft Dynamics CRM administrator. Microsoft has some pretty good documentation on how to use the Word Templates, you can check out the docs page here: Using Word templates in CRM. On this page if you navigate to the Additional Considerations area at the bottom, it describes the security rights needed. After assigning these rights, we asked the users to try again…but the error persisted. After much trial and error, and review of practically EVERY SINGLE security right available, we finally found the one that was needed. On the Business Management Tab, in the Privacy Related Privileges area, there is an option for Document Generation. Turning that on for the security role assigned to the user fixed the issue. We will be reporting this oversight to Microsoft using the Was this Information Helpful option on the page and hope it will be addressed in a future update to the documentation. Ran into a problem recently where a client wants a web form to interact with CRM, allow the end user to upload a file directly to SharePoint online, then have it show in the associated documents on the CRM record. I promptly went to my favorite search engine and began to research this problem…but after many hours and searches I came up with nada, zip, zilch. A lot of stuff about SharePoint, and even some stuff about interacting with SharePoint from within a CRM plugin, but nothing related to the use case I was working on. So after much research, time, and general reverse engineering of how CRM shows related documents in SharePoint, I came up with something. The way that the SharePoint integration actually works when you click the ‘Documents’ link on a record is that it simply shows you the files in that document library and folder. CRM only stores a ‘location’ record for that regardingobjectid in an entity called SharePointDocumentLocation. That record has a parent reference in the same entity. Once you establish the location reference, you can go directly to that folder in SP, add a new file, go back to CRM and you will see the new file in the documents view. First, let me explain that, as far as I know, this scenario only works with CRM Online and SharePoint Online in the same Office 365 tenant. If you have some other combination of Online and On-Premise, or all On-Premise I have no idea if this will work. Feel free to give it a try, but I don’t offer any warranty expressed or implied. Make sure you have already setup the SharePoint integration in CRM. There is plenty of documentation for this so I won’t bother to describe it here. Make sure that your OOTB or Custom Entity is setup for document management. Again, there is plenty of documentation on this. As part of step 2, you ‘should’ end up with a document library in SharePoint with the same name as your entity. I have this code setup as a console app, but you should be able to convert it to use in a web page as necessary. It won’t work with an CRM Online Plugin because it requires some SharePoint .NET libraries that you can’t get access to, or even ILMerge. There are some docs on that process and using the SharePoint REST endpoint, but I didn’t use that method. You also have to have generated your XRM Class file using the CRMSVCUTIL tool. // This requires the CrmSvcUtil.exe code generator to create the class file. // Setup the Connect context to the SP Server. // Note: For simplicity, we are using the guid of the record, but you can use whatever you like. // SharePoint integration with CRM is setup. // Now we check if the location has already been entered into CRM for this record. 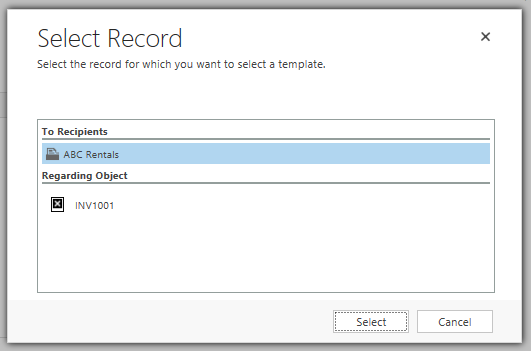 // Document Location record does not exist, so let’s create it. // We have to link up the document location with a new record in CRM. Updating Icons blows up Auditing? UPDATE: Apparently this is a known function in CRM, except it doesn’t make sense that it happens when you are updating Icons. I’ve been working for the past few weeks on the upgrade of a CRM v2011 instance to a v2015 instance. So working with a colleague of mine, I asked him to make up some nice monochromatic icons to represent the 2 dozen or so custom entities we have. He made up some nice icon files in 16×16 and 32×32 format, and to save time I asked him to go ahead and update the icons in our 2011 instance so we don’t have to go through and do it during the final upgrade process. Then a few hours later I get a Lync message from a CRM user asking what’s happened to the Audit logs for a record? My reply was… Huh? Nothing that I know of? So I check the record, and lo and behold, all the new value entries on the audit log are missing, replaced by an strange icon image indicating that it’s not there. I’m stumped… I can see an entry where auditing was turned off, and it turned out that was when the icons were updated. It decided to turn off the auditing for a moment, and then back on, which caused this problem. I can easily reproduce it over and over. Anything updated after this time is fine, and gets audited properly. So I did a search and the only thing I could find was this Forum post. It’s not exactly the same thing because they were intentionally turning auditing off and back on, but the result was the same. All the ‘new value’ entries are messed up. FYI… this problem also occurs in a totally clean, not upgraded, on-premise instance of CRM 2015 as well. I also updated my CRM 2011 to UR 18, just to be sure that this wasn’t fixed in an update release. I have opened a support case with Microsoft to see if they are aware of this issue, and if there is a fix. I will update this blog entry if I get a fix. I ran into this problem today after I needed to change the CRM URL on the Dev Server I am working with CRM 2015 on. I had previously created both a Plugin project and a Web Resources project and used the CRM Explorer to browse these to extract items, setup new Plugin Steps, etc. I was tweakign the CRM Dev server and discovered that I needed to modify the URL for the server in the Deployment Manager. Did some searching and came across this forum post. The answer was the *.suo file in the same directory as the VS solution file. While the solution is closed, just delete or rename that file. When you re-load Visual Studio next time, you may still see the error, but you can then reconnect to the new CRM server or URL. CRM2013 : Reporting Extensions not installed? I ran into this problem today when I had top stop the install of CRM 2013 at the end when it tried to put in the reporting extensions. The original reason it wouldn’t install was that the reporting services (SSRS) service account matched the same account that CRM was using for it’s services. Found another interesting new wrinkle in CRM 2013/2015. Apparently there has been a schema change on the Incident / Case entity, or at least a schema replacement. I was rebuilding a Plugin that was originally developed with CRM 2011. In the Plugin, there was an early bound reference to the system entity for Incident, where I was looking at the ResponsibleContactId. Warning 4 ‘xxxx.Incident.ResponsibleContactId’ is obsolete ….. If you browse the .cs file generated by CrmSvcUtil, you will see this in the line with the System.ObsoleteAttribute() added. So I had never seen System.ObsoleteAttribute() before, so naturally I Googled… uh, I mean, Bing’ed… the term to see what was up. DotNetPerls had a pretty good explanation. The incident entity ResponsibleContactId lookup attribute should be considered deprecated and the PrimaryContactId lookup attribute introduced with the Microsoft Dynamics CRM 2013 Service Pack 1 (SP1) release should be considered the primary system lookup attribute to associate incidents with a contact record. There are no plans to remove the ResponsibleContactId lookup attribute, but if you plan to create new customizations you should use PrimaryContactId rather thanResponsibleContactId. If you have existing customizations that currently use ResponsibleContactId, you should consider migrating them to use PrimaryContactId instead. So, ResponsibleContactId will be around for a while, but is being replaced. A lot of my PluginCode for the 2 CRM instances I manage uses this field, so I’m going to have to rework how those work, or just ignore the message for a while.